but slowly steal away your vision. It is a clouding of the eye's clear crystalline lens which is usually the result of aging and typically begins to happen after the age of 60. Cataracts develop slowly and many patients are unaware that they have a visual problem as their brain's perception of what they see has accepted this compromised vision. Poor night vision — self-imposed limit for night driving vision. It's time to schedule a cataract evaluation. At that point, Dr. Robbins will be able to determine if a cataract is the cause of your visual issues. If so, we will show you how the cataract is affecting your vision and offer you many options to consider in terms of cataract surgery. Not all cataract surgery is the same. As one of the leading cataract centers in the U.S., Robbins Eye Center is able to offer the most comprehensive variety of treatment options available, providing you with a personalized care plan tailored to your needs and desired outcome. During this cataract procedure, Dr. Robbins replaces your cataract affected lens with a "standard" monofocal lens which will eliminate the visual cloudiness or "fog" that is caused by your cataract. 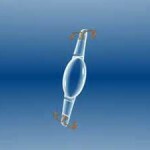 This lens will typically reduce, or in many cases, eliminate the need for distance glasses after cataract surgery. Patients receiving this mono-focal lens will be provided with clear vision but in most cases will still require glasses after their procedure. For those cataract patients who would like to eliminate the need for glasses of any type after cataract surgery, one of these premium cataract surgery options might be just what you're looking for. Both the Crystalens and ReSTOR technologies were designed to replace the cataract affected lens with a lens that will not only clear your vision but also correct your near, far and mid-range vision. Each lens functions differently but achieves the same result. Dr. Robbins works with you to determine which lens is the best fit for your needs. For those patients who have an astigmatism, we offer a premium toric cataract lens that will accommodate for your astigmatism and help you achieve great distance vision after your cataract surgery. 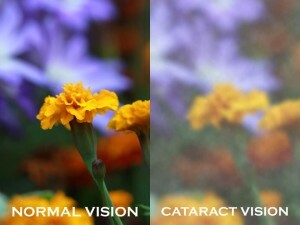 No longer will your astigmatism prevent you from getting optimal results after cataract surgery. Dr. Robbins was one of the first eye surgeons in the country allowed to use premium technology options for cataract patients. She has performed premium cataract surgery since 2004 and is one of the leading cataract surgeons in the United States having performed more than 20,000 surgeries.